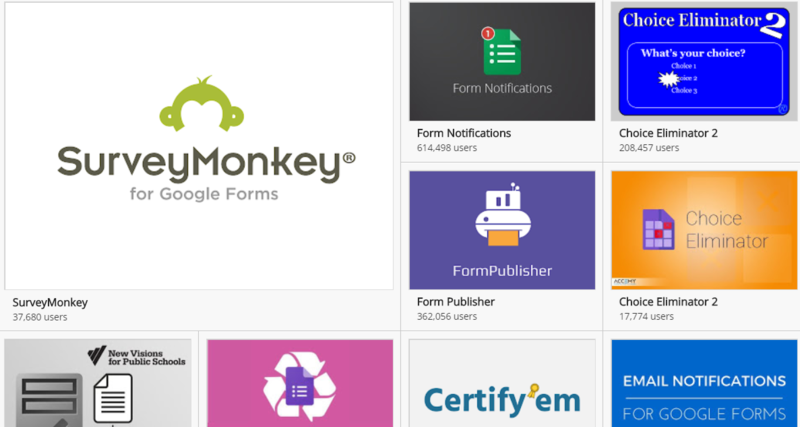 Google Forms Add-ons are an excellent way to upgrade and improve this essential free software. With Google Forms add-ons, you can expand its functionality and streamline your workflow all at the same time. 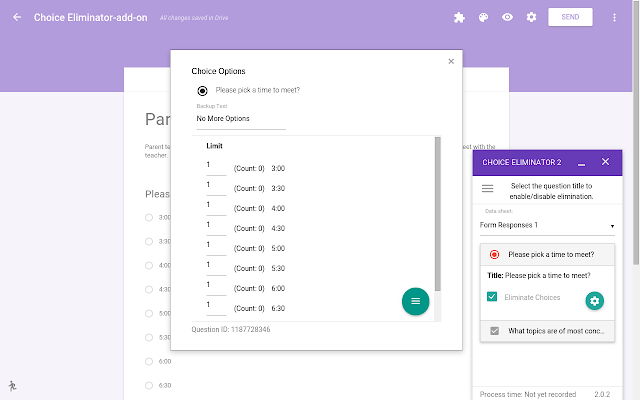 We’ll show you some of the top Google Forms add-ons in this post, but first, let’s review how to install and remove add-ons. Installing Google Forms Add-ons is as simple as a few clicks. Step 1: click on the three little dots in the upper right-hand corner of the form. Step 3: hover over the add-on you want and click the blue “+ Free” button. Step 5: start using your new add-on. Removing Google Forms add-ons takes less than 5 seconds. Step 3: search for the add-on you want to remove. There are many excellent add-ons for Google Forms, and it would be impossible to cover them all in one post. Instead, we’re going to highlight 10 of the best Google Forms add-ons you can use to work smarter, not harder. 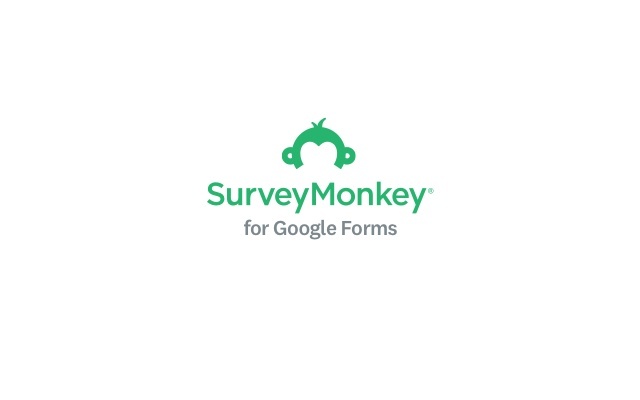 The SurveyMonkey Add-on lets you leverage the power of the world-leading survey platform in your Google Forms by letting you easily export your form data. 15+ question types to build any type of survey you want. Skip logic and randomization to get more detailed, accurate data. Greater control of your survey’s look and feel with custom logos, colors, URLs and thank you pages. Deeper analytics including real-time responses, data trends graphing, and text analysis to make smarter data-driven decisions. The add-on works with any SurveyMonkey plan (including the free one). Form Publisher allows users to transform Google Forms into Google Docs, Sheets, Slides, or PDFs. 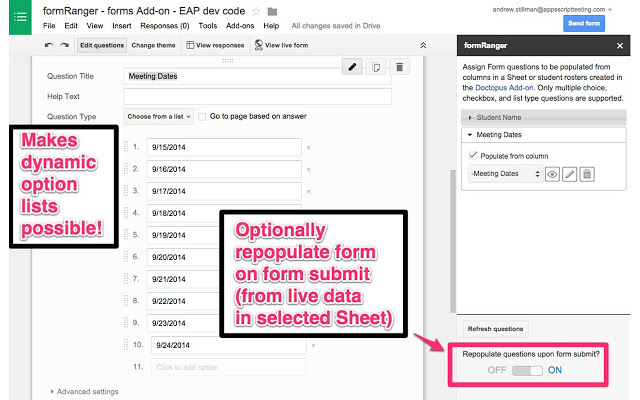 Without this add-on, you would be left with your data sitting in Google Forms. Now, you can export it into any format you need to make it more accessible, shareable, and easier to present. Not only can Form Publisher turn Forms into Google document files, but it can also turn them into Microsoft Office files, such as Word, Excel, and Powerpoint. Form Publisher makes it easy to share files, sending an email notification to all respondents after they submit a form or create one. 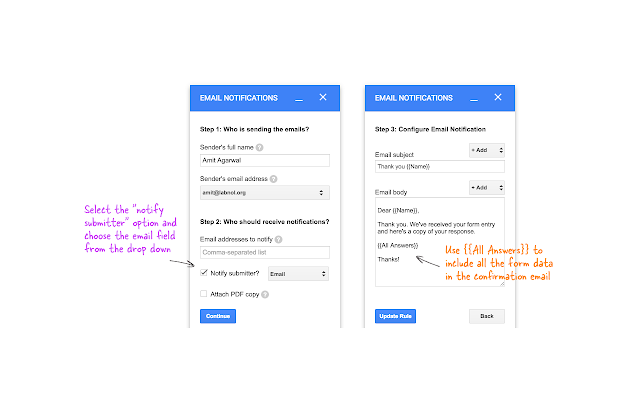 The Google Forms Email Notification add-on does exactly what you would expect it to do: sends a notification including Google Forms data directly to your email address after someone completes their submission. You can use the default message included in the add-on or customize your email notifications. And you don’t have to send the emails to yourself, solely. You can designate other email addresses to receive notifications as well. And if someone fills out a form and attaches a file, that file attachment will be included in the email notification and can be opened directly from your email client without having to navigate back to Google Forms. This add-on can also send notifications directly to your mobile device, including tablets. 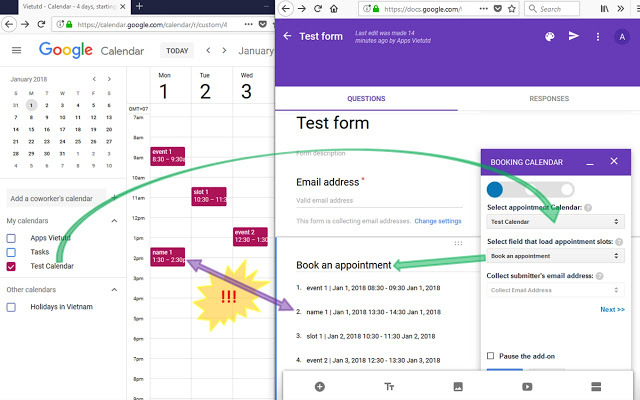 Booking Calendar for Google Forms add-on creates Google booking forms. It allows people to set appointments or meetings. The way it works is simple: Users load in any times and dates they want and visitors to their form will choose one of the options. After that, Google Forms will automatically and instantly create a scheduled event in your calendar. 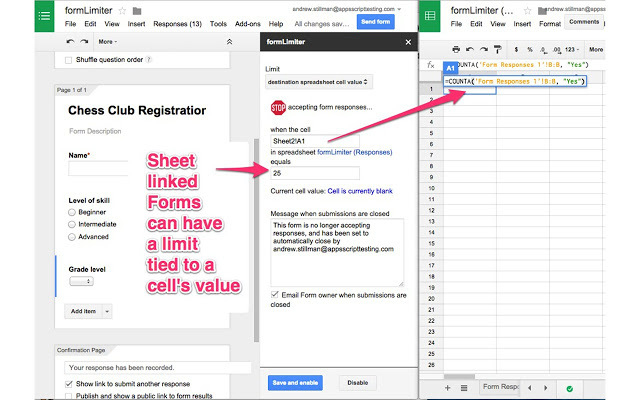 FormLimiter lets you automatically prevent submissions in Google Forms based on a specified number of responses or a certain date, time, or cell value. When a certain date and time is reached. When a spreadsheet cell equals a specific value. You can also customize the messages displayed when any of your limits are reached and set up email notifications to let you know when submissions are closed. formLimiter is a great tool when you have a tight deadline to gather information (like quotes for an upcoming blog post) or a limited offer (“the first X customers to respond get 10% off our amazing new product”). FormRanger makes it possible to pull data from Doctopus or Google Sheets and add it to Google Forms. Instead of manually transferring cell values, formRanger will auto-populate the choices in Google Forms, whether it’s a list, multiple choice, or drop-down answer options. If you work with a lot of spreadsheet data that you’d like to use in a Google Form, formRanger makes it possible to pull data from Google Sheets to auto-populate options in a list, multiple choice, checkbox, or grid question. This is great if you use Forms for things like product orders or getting feedback from employees, event attendees, etc. - you can make sure the available form options match an existing list to ensure future data processing (back in your beloved spreadsheets) will be smooth. formRanger also lets you automatically repopulate options on every submission or hour, which lets you dynamically update your forms. For example, you could shrink your list of product options based on their inventory availability, or grow your list of possible choices by automatically adding unique survey responses (so not all of your employees need to manually type “This company is by far the best place to work” once Susan has). Certify’em enables you to create online certifications through Google Forms.This add-on provides several templates you can use to create professionally designed certificates. Of course, you can also create your own. You have the option of emailing your custom certificates in PDF file format to those who pass the exam as well. Another welcome feature of Certify’em is it automatically keeps a record of those who pass your exams, so you have an up-to-date log you can reference if you need to. 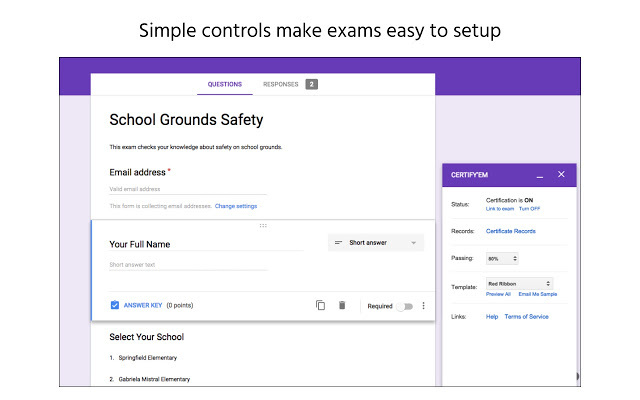 Choice Eliminator 2 simply deletes options from Google Forms, like those found in multiple choice, list, or drop-down questions. This add-on is ideal for preventing users from choosing the same option twice, or if there’s a limited amount of inventory, like concert tickets. 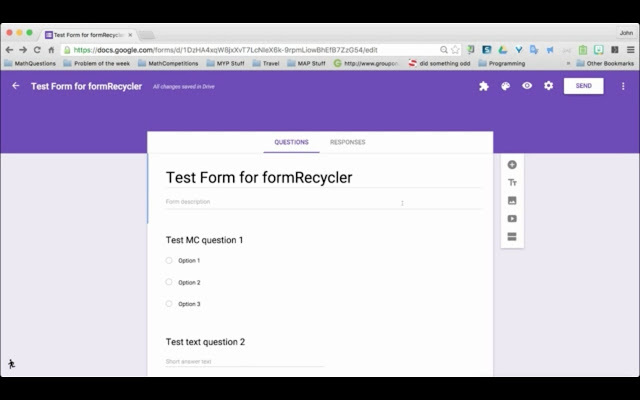 FormRecycler allows you to “recycle” questions and sections from other Google Forms files and use them in a new form, instead of creating the same questions over and over again from scratch. You get to select whatever piece of one form you want to recycle into the next, so you could choose one question, nine, or more. And you can create a new form with fresh questions and recycle old ones afterward; FormRecycler always places recycled questions at the end of the form. 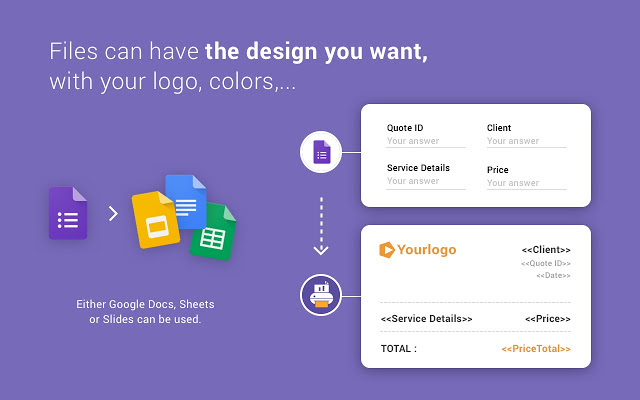 Pictographr is an add-on that lets you create custom designs and embed them directly into Google Forms. It comes with a built-in graphics editor that is preprogrammed to fit within Google Forms. Pictographr was made for non-designers in mind. 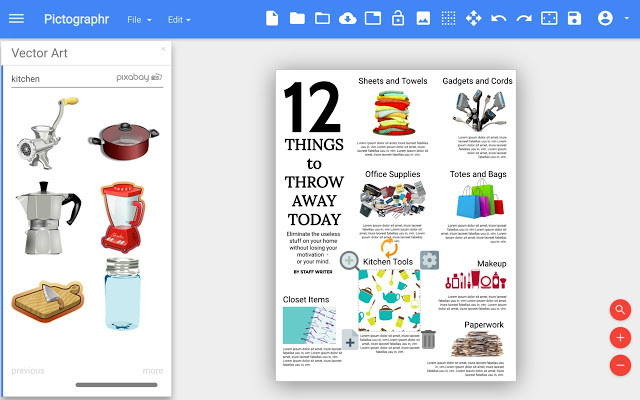 To create images, simply drag and drop items into the add-on’s digital canvas. 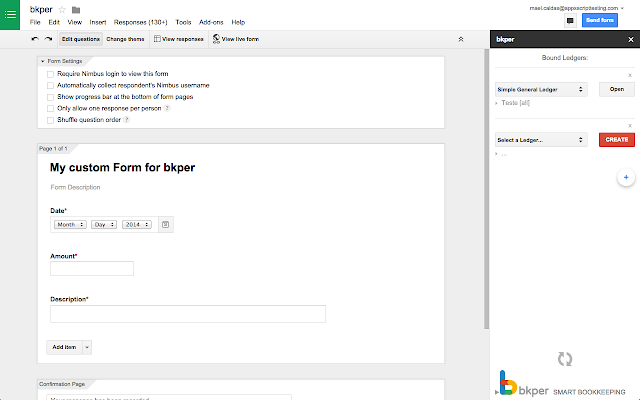 Bkper was designed for G Suite and connects to virtually all of its apps, including Google Forms. Track small-to-medium sized business finances, such as budgets, expense reports, and purchase orders. Customize Google Forms to handle any form of record-keeping by setting the rules of each field and point of submission. Stay updated in real-time regarding account balances that are automatically organized for you. Set permission restrictions on any level of your book-keeping for maximum security and optimal sharing. Keep all your financial data in central place for easy collaboration. Tools like Google Forms add-ons are great when everyone already knows how to use the software. But for new employees, or for new processes that veteran employees need to understand, there’s often a tough learning curve. To overcome this obstacle, you need to be able to communicate complex information in a simple way. Words don’t always cut it. It’s no secret that visual content marketing is superior to pure text-based messages. People prefer images and videos over sentences and paragraphs. So if you want to optimize the way you communicate information to your fellow employees and customers, you need to express your messages to them in the way they prefer to receive them. 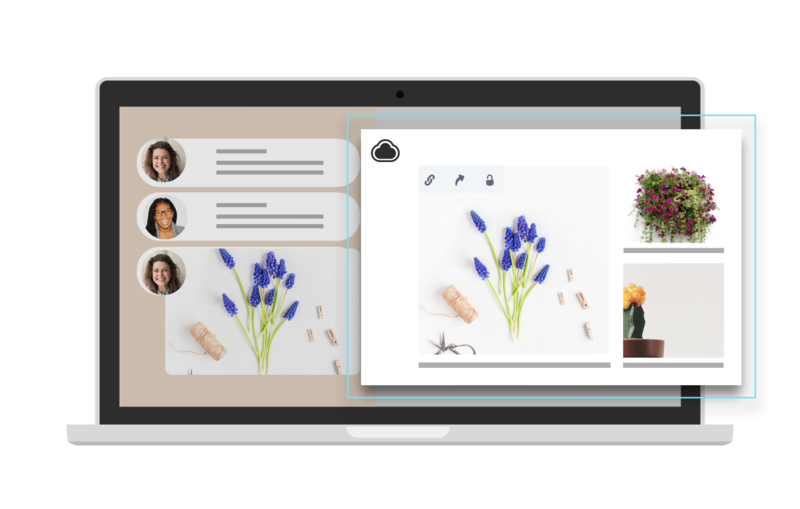 That’s why we’ve built software that brings HD video screen recording, webcam recording, GIF creation, screenshots and annotations to the cloud in an easy-to-use, enterprise-grade app so you can quickly create and share visual content. At CloudApp, we believe fast and easy collaboration is a great thing, not only for your bottom line, but for your company culture as well. 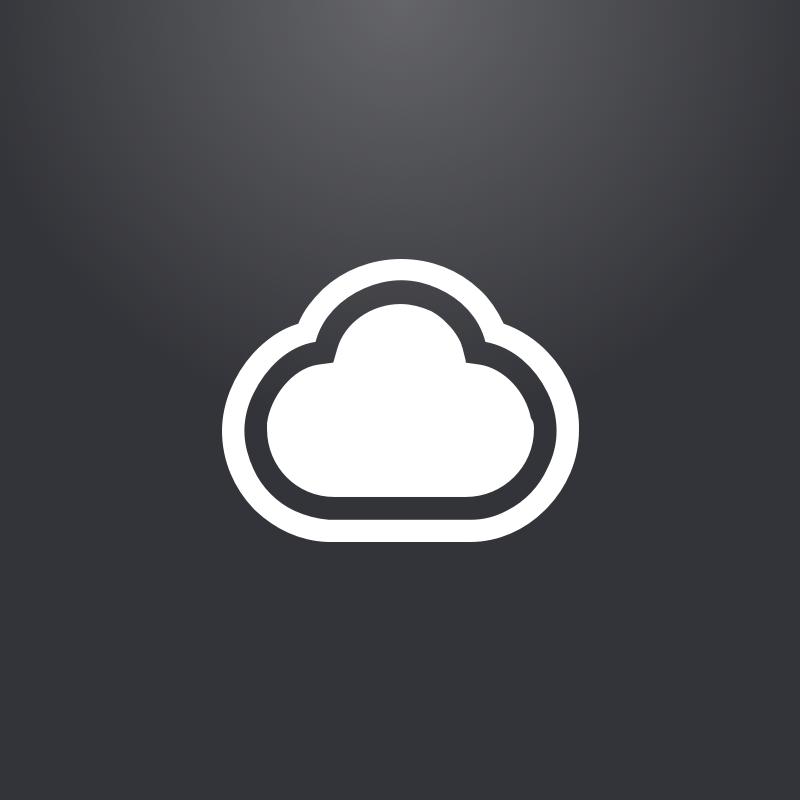 Learn More about CloudApp here.